Sunita is a Certified Executive Coach, Consultant, Speaker and Trainer. She is of Indian origin and was born in London before moving to Geneva in 1992. She has a Psychology degree, specializing in Occupational and Developmental Psychology and a Post Graduate certification in the Development and Training of Adults from the UK. Moreover, she has a Masters in Human Resources, Coaching and Career Management from HEC University of Geneva Universities. Her Master thesis on “How proficiency in English affects non-native speakers in business,” received great interest in the academic world and press and since she has been asked to present her paper at several academies. She is a coach at IMD Business School and the founder of Walk The Talk based in Geneva, which provides executive coaching and consultancy services, operating locally, globally and virtually. Her services includes working with international companies in the banking, finance, media, pharmaceuticals and FMCG industries, at all management levels. 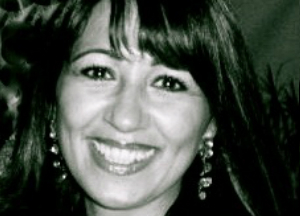 Sunita’s coaching style improves the skills and approaches needed to develop performance. During her twenty-five years of international experience, Sunita’s objective has always been to support people to discover and utilize their potential in order to help them to perform at their very best. Having worked and studied in several different countries, she has a strong understanding and knowledge of global business culture, communication and local practices. Sunita is an accomplished presenter and business writer; furthermore she has had several of her articles published in the press and is a Regular Contributor for Swiss Style Magazine and Know It All Geneva. In her free time Sunita is a Mentor for the Richard Branson Centre of Entrepreneurship. Her role is to offer practical business skills, coach and share experiences to help them to build strong businesses. She is also a proud member of the School in The Cloud Team empowering children in remote parts of India to engage in self-organized learning. Sunita speaks English, French, Hindi and Punjabi.